The next 5th July, Insuleur, the Network of the Insular Chambers of Commerce and Industry of the European Union, organizes a Public Hearing entitled 'Entrepreneurship in the islands: enough to have enthusiasm? ', that aims to discuss the impact of the Entrepreneurship 2020 Action Plan on the Island territories generating an open and fruitful exchange between the representatives of the island territories and policy makers in Brussels. We know that the obstacles that an entrepreneur faces in an island territory are so various and important that sometimes it is not enough to have enthusiasm. On the contrary it is necessary the awareness of this reality from the European, National and Local Administrations to be able to do business in an island. This is why we think that we have to take advantage of this current legislative process on entrepreneurship to sensitise about the problems that affects entrepreneurs on island territories. 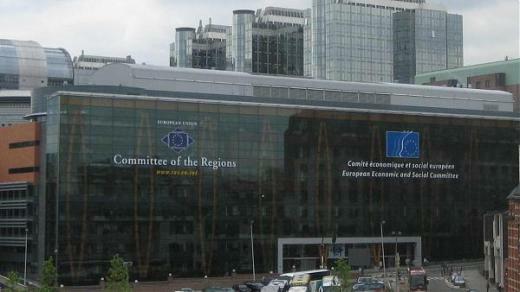 This event will take place, from 10.30 am, at the Committee of the Regions premises, Rue Belliard 99, Bruxelles.